So today I thought I would talk you through a typical 6 month gig diary and who I’ve been to see so far this year. 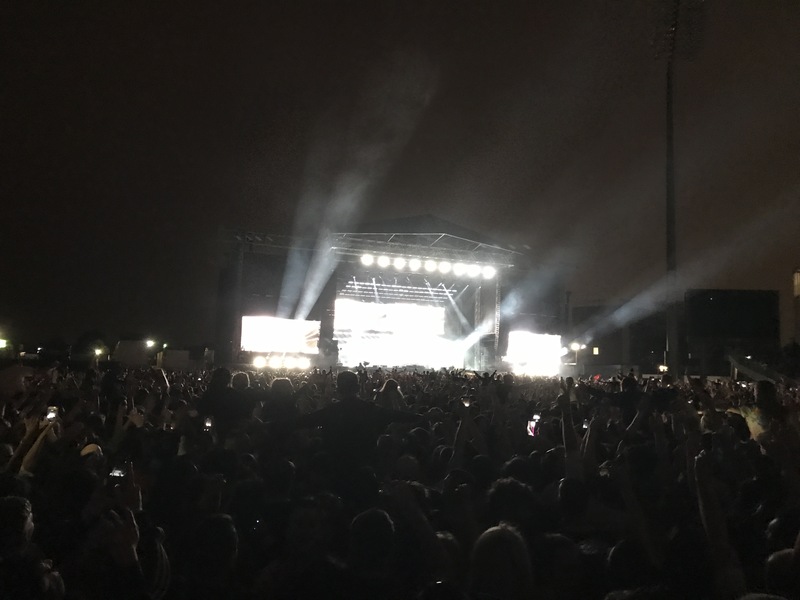 I thought that in the light of recent events in Manchester, which is a stones throw away and a city full of music which I love to visit, I would take the opportunity to show how fun music can be and that we shouldn’t stop enjoying experiences like gigs due to these attacks. 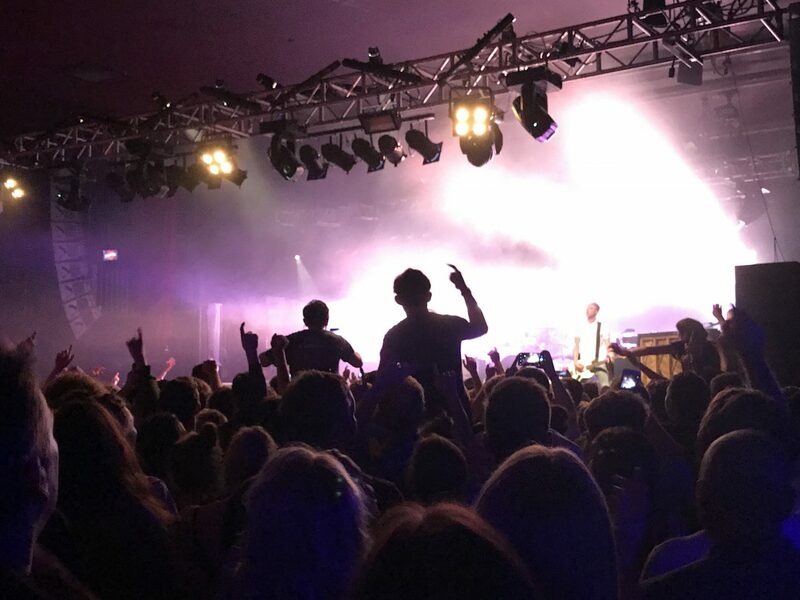 We owe it to the victims to carry on and if anything, make it a goal to attend more concerts and gigs and festivals and enjoy each and every one of them. So here is what the first half of 2017 has involved for me. 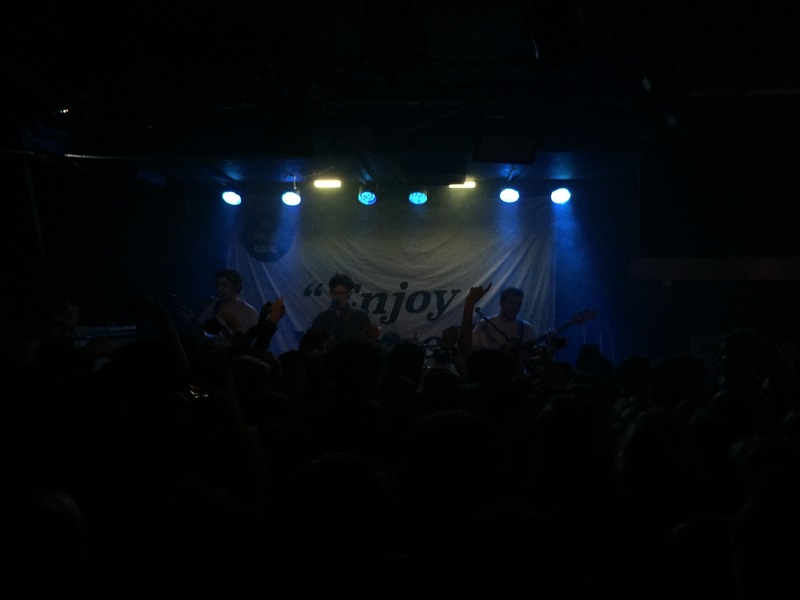 14th- Me and Josh went to see The Hunna at Leadmill in Sheffield- my fave gig venue as it can hold a big enough crowd but it’s still quite intimate. Tickets weren’t too expensive and they sounded good! the only thing I would say is that the crowd was really young in comparison to when we watched them at festivals last summer, so that’s just something to be wary about if you find it annoying. 24th- Me, Amy, Josh, Steven and Laura headed to the University of Sheffield Student Union (rival territory) to go and see Peace at a Topman and NME collaboration gig for £6- SIX POUNDS. AMAZING. Despite randomly having a panic attack (good one brain) I still really enjoyed listening to one of my favourite bands just stood slightly to the side. Not only did we get to see Peace perform a great set with most of their biggest songs, we also all received a £10 Topman voucher so we basically all gained £4 for attending. 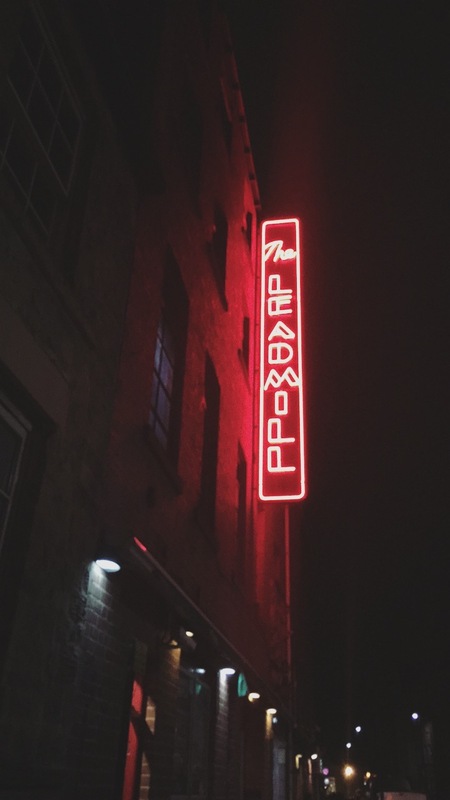 1st- Me and Josh headed to Leadmill with Amy and Steven yet again, this time to watch Magic Gang, who are one of my favourite bands. They were in the small room so it felt nice and busy which I like, it was also great to see them play their own show rather than being a support act. If you’re a fan of Peace you will probably like these. 12th- This one isn’t a gig but I thought I would include it as it was at Leadmill. Me and josh went to a free film screening of I Daniel Blake, which btw is a great film you should all watch which is very emotional and eye opening. 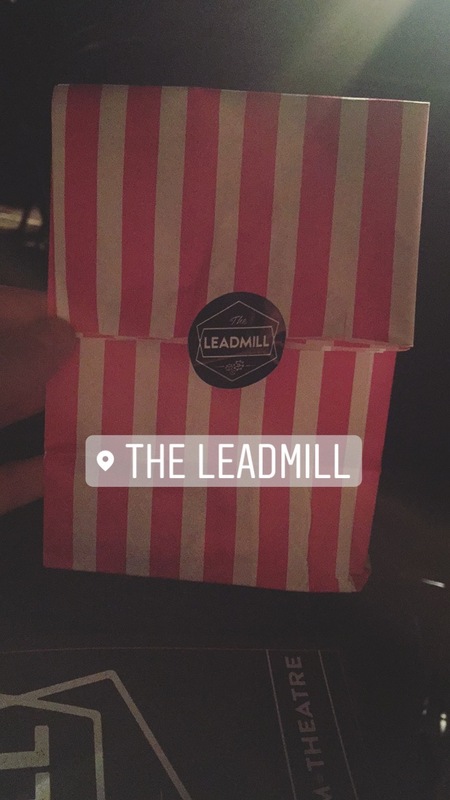 I thought I would mention this as Leadmill put on these screening quite often- especially near Christmas but they are a free or cheap nights out that are suitable for people who want to get out and do something but maybe don’t want to go on a full on night out, plus they sell popcorn and Pic n’ Mix! 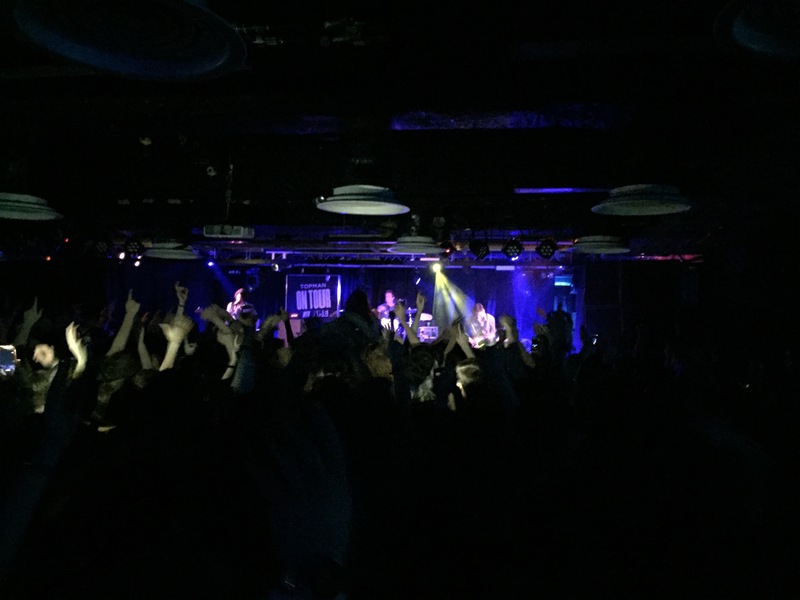 24th- Courteeners round 1 at Sheffield o2 academy. This gig was lairy, as basically it sold out and Courteeners have the ability to sell out stadiums not just small venues. I went with Josh, Dan, Chi and Jake but whilst they went right into the centre of the moshpit I met up with Laura and Harley to stand slightly to one side, which was still rowdy but less intense so you could actually enjoy the music rather than worry about falling over. 27th- Courteeners round 2 at Manchester Old Trafford with a crowd of 50,000 (see what I mean about they can sell out venues?). 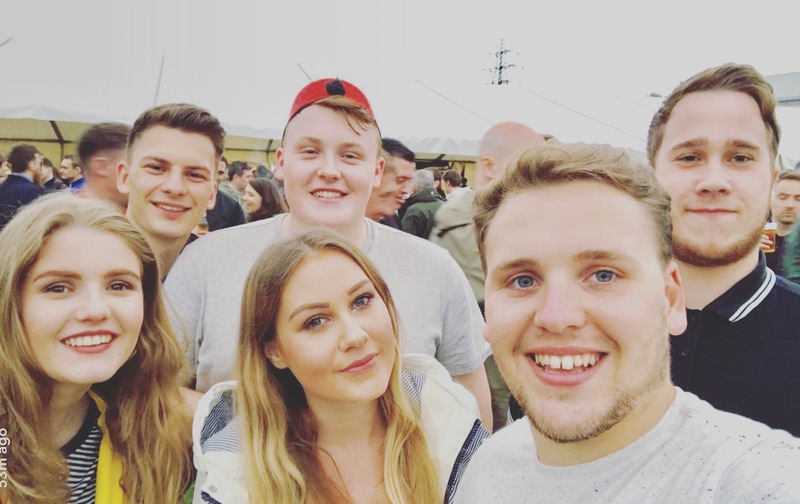 As I mentioned in my Bank Holiday Weekend Post, I went with Josh and his friend Elliott and it was amazing- this was even more lairy than earlier in the week and any hopes of staying out of the moshpits were not achieved. I like a rowdy crowd as much as the next person and it’s a good job because that’s what we got. In true Manchester spirit the crowd was even more raring to go and defiant after Monday’s attack, spurred on by Liam’s powerful poetry reading and amazing tribute to the victims when he and the ENTIRE crowd sang Don’t look back in anger- google a video of it, it was unbelievable. Best time I’ve ever seen Courteeners hands down. 2nd- I thought I’d cheat slightly and include the start of June because we headed off to see Milburn (an amazing Sheffield band making a 10 year come back) who were supported by Reverend and the Makers- also a Sheffield band. Again think rowdy, so rowdy I managed to take no photos of the stage for fear of losing my phone, this was another outdoor gig which was at Don Valley and it was amazing. Milburn never gets old and it was nice to see Rev again after about a year since I last saw them. 28th- oooh and I haven’t been yet but at the end of this month me and Sally will be going to London to see Adele on the final leg of her tour so keep your eyes peeled for some London based posts. So that’s my little 6 month round up. Usually gig season gets into full swing at the end of the year with lots of tours so we’ll have to see what happens then. For the past 4 years my summers’ have been filled with festivals but this year I think I might be taking a year off which will be strange but so far music wise this year has been fun! Let me know what you think of this kind of post, would you like another one at the end of the year? Or would anybody like a festival packing tips/ survival guide?